Ken called in June 2008, when he was welcomed to Westwater Advocates as a valuable addition to the stable. He was a partner for many years with a large firm of solicitors specialising in civil litigation. His practice was principally in the field of personal injury, thus allowing him to acquire experience in litigation arising from industrial disease claims and also from road traffic and workplace accidents. 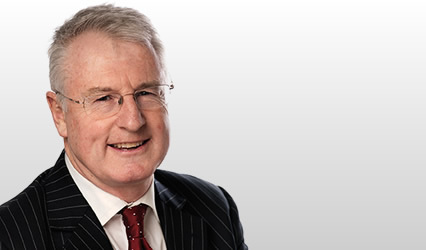 His practice also extended to professional negligence litigation and he has experience of various high value cases involving alleged negligence on the part of surgeons, solicitors, surveyors and architects. As a solicitor, he appeared in numerous proofs, debates and fatal accident inquiries. He appeared in the long running Cormorant Alpha Fatal Accident Inquiry relating to the crash in the North Sea of a helicopter with resulting loss of life.